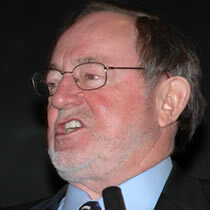 Republican senator Tom Coburn is pursuing an investigation into Congressman Don Young's infamous $10 million Coconut Road earmark by offering an amendment next week to a bill making technical corrections to the 2005 transportation bill. Young, under multiple criminal investigations for bribery, extortion, and corruption, denies any wrongdoing. The earmark in question was a personally engineered $10 million insert by Young in exchange for a $41,000 campaign contibution from a Florida developer. AUDIO: Young speaks about the infamous earmark. From KMXT's coverage of the ComFish debate in Kodiak. Don Young regarding the questionable earmark "Those people in the community asked for it"
This amendment creates a bicameral, bipartisan special committee to investigate how the 2005 highway bill was secretly changed after it was approved by Congress. This legislation charges the special committee with determining "when, how, why, and by whom such improper revisions were made." The special joint committee would consist of eight lawmakers - two Members each would be chosen by the Senate majority leader, Senate minority leader, House Speaker, and House minority leader. This ensures that the committee will be bipartisan and bicameral. The committee would be charged with producing two reports about its findings - an interim report to be publicly released on August 1, 2008 and a final report to be released on October 1, 2008. In addition, the committee would have the authority to refer its findings to the House and Senate ethics committees and appropriate law enforcement agencies. Finally, the committee would have the authority to require testimony and preservation of relevant documents and records and to compel their production via subpoena, if necessary. On March 10, 2005, the House passed its version of the 2005 highway bill. 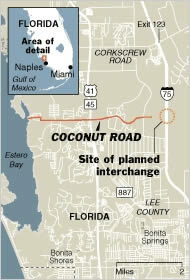 That bill did not include funding to create an interchange at Coconut Road and Interstate 75 near Fort Myers, Florida. On May 17, 2005, the Senate passed its own version of the same bill. It did not include funding to create an interchange at Coconut Road and Interstate 75. On July 29, 2005, both the Senate and Housed passed an identical version of the conference report for H.R.3, the 2005 highway bill. The conference report approved by Congress did not include funding to create an interchange at Coconut Road and Interstate 75. It did, however, include $10 million in taxpayer funding for "Widening and Improvements for I-75 in Collier and Lee County." © Copyright AlaskaReport. All Rights Reserved.